The Environmental Center relies on volunteers to help during key events throughout the year, such as our Earth Day Fair and Green Tour. Outside of these events, we occasionally look for help with more intensive or longer-term projects – such as facility improvements, data entry, and more. Please keep in mind we are a small organization with limited volunteer opportunities. Many of our Partner Groups—other environmental organizations in Central Oregon—also need volunteers. So if we don’t have the right fit, we encourage you to check out additional opportunities within those organizations. … please call Marianne at 541-385-6908 x10 or swing by our building to discuss potential opportunities with our staff. And be sure to subscribe to our e-newsletter and follow us on Facebook to hear about last-minute volunteer needs! Please review our volunteer opportunities, then complete the application (below). Feel free to sign up for any of these opportunities at any time. We will contact you as we get closer to the event you’re interested in. A colorful celebration of the natural world and our vibrant community, featuring live music, local food, and family-friendly activities in downtown Bend. 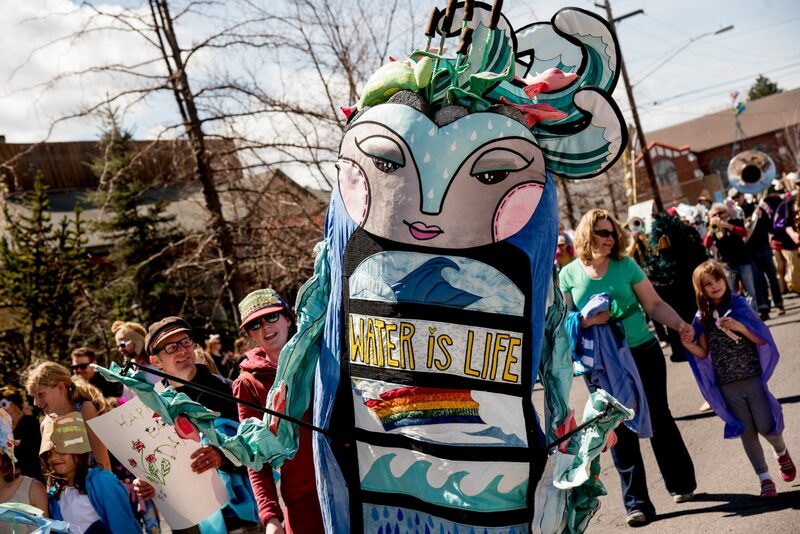 We are looking for volunteers who can set up and monitor the parade route, ensure zero waste efforts, and guide our Earth Guardian puppets. Please sign up for a shift here. One of the first half marathons of the year in the Northwest, the Salmon Run has long been central to the local racing scene. Organized by Lay It Out Events, and a benefit for The Environmental Center. Please email Lauren directly if you’d like to sign up for a shift. For the 18th year in a row, innovative homes across our community will open their doors and welcome us to come and explore what energy efficiency and conservation means to them. 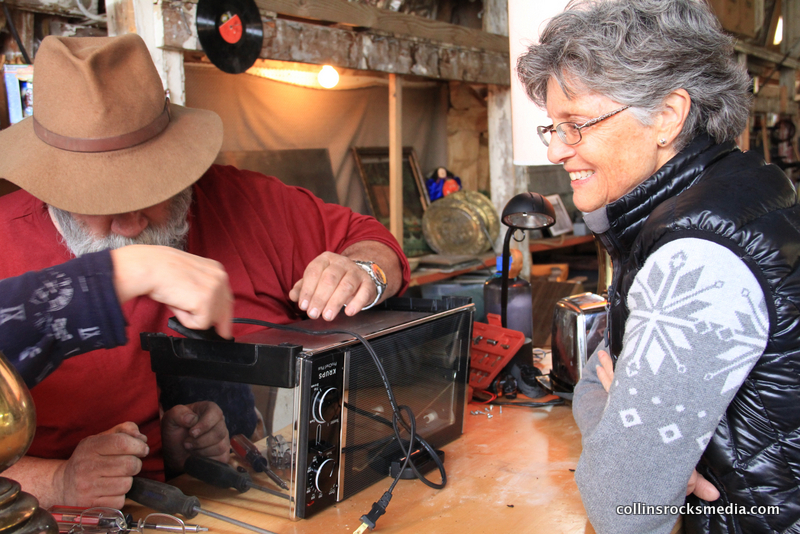 Repair cafes are free events where volunteer ‘fixers’ help people in our community repair their broken things. If you’re handy and like to tinker, sign up to be a fixer! Hosted bi-annually, the Awards highlight the determined and persistent change makers in business, government, nonprofits and the community, who are essential to achieving a sustainable future. Volunteer for an hour or two in The Environmental Center’s Learning Garden and be rewarded with beer and kombucha! Each week, volunteers drop in and help maintain the garden through routine tasks and special projects. No experience necessary and families welcome. 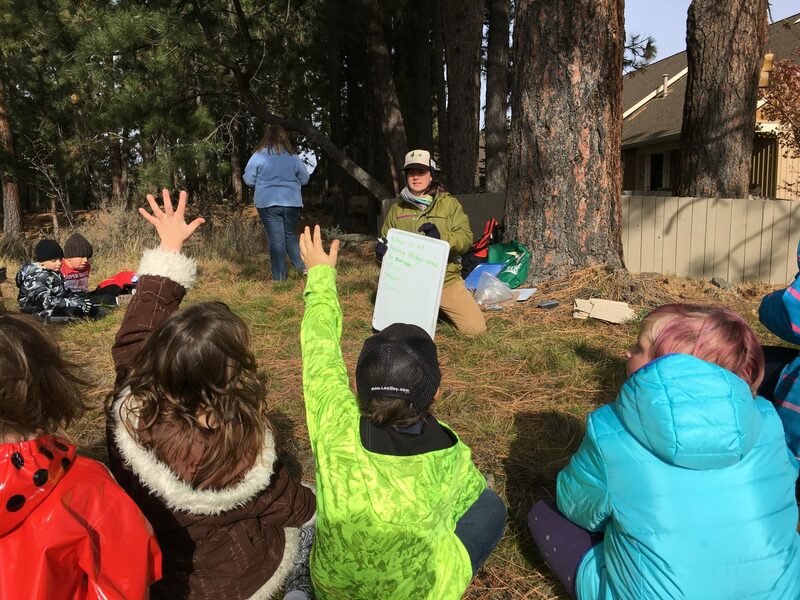 We empower future leaders to create a sustainable tomorrow with hands-on educational programs in local classrooms, outside in gardens, and on public lands. Volunteer opportunities are varied, and may include outdoor school days, Green Team leaders, help for field trips, and more. Please be sure to select which event(s) you’re interested in. We will contact you 1-2 months prior to confirm your interest and provide more information. Thank you! I hereby release, indemnify and hold harmless The Environmental Center and all other supervisors and sponsors of this event from any and all liability in connection with any injury (including any injury caused by negligence). The Environmental Center has my consent and permission to publish, republish, or exhibit, without identification of me by name, the photographs, videos, or statements taken during my volunteer experience. If the volunteer is under age of 18, an adult supervisor must sign for them.